My first bike. Yes it’s a chinese one, yes being a heavy cruiser style and 125cc it’s slow. No I don’t care about either of those things. This thing is so much fun and surprisingly comfortable. Going to enjoy learning the basics on it. 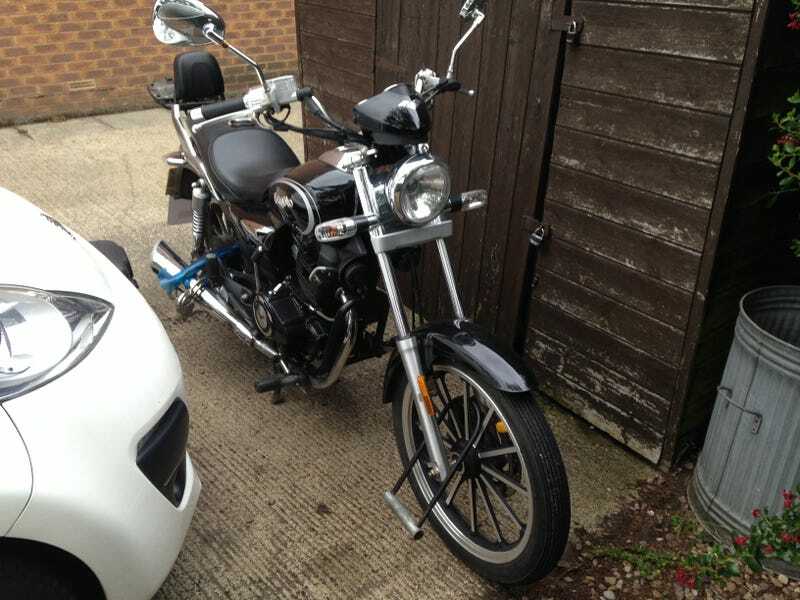 It’s one year old and has about 4000 miles, £800 with a lockable box thrown into the deal. Been really well maintained by the previous owner. Runs great. The taped on L plates are temporary, I’ll be mounting some proper plate ones shortly.